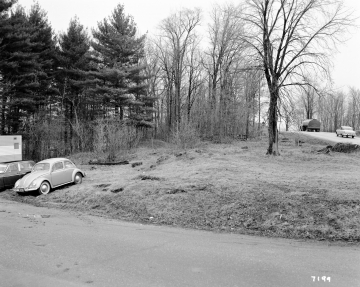 Taken between Colchester and St. Albans, likely in Colchester, this photograph looks at the property of Lake Champlain Transportation Company. A road runs across the foreground, with several cars parked next to the road on the left side of the photograph. A car and a large truck drive towards the background on the right side of the photograph. 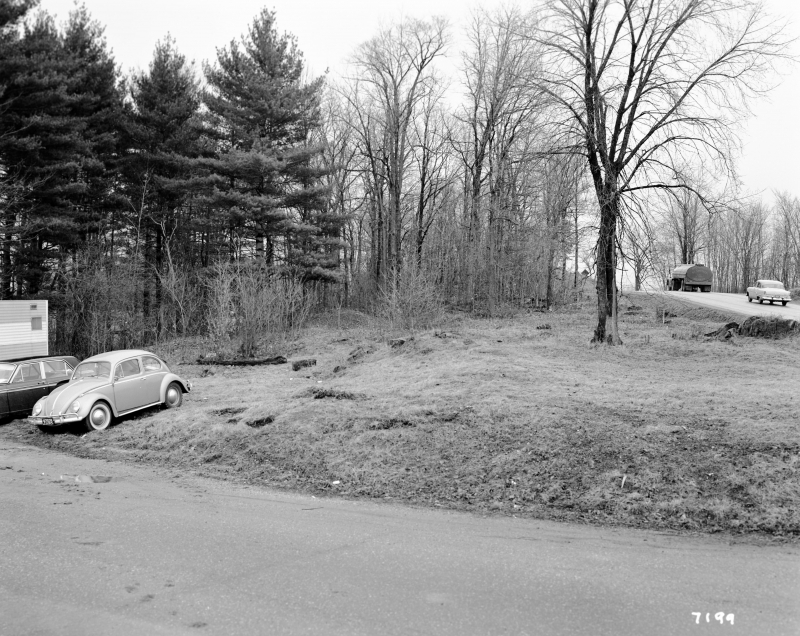 A field is centered in the photograph, with a tree rising out of the field in the center right of the photograph. Bare deciduous and conifer trees populate the landscape.